It’s a complaint common to many discussions about the relevance of the Commonwealth Games, and about the Commonwealth in general. The big countries – Australia, England, Canada – win all the medals, and a bunch of little countries never do. And, as you would expect, included in this bunch are several Pacific island nations. I am very happy my prediction (on Twitter) that this would be a breakthrough Games for the Pacific has come true. We have seen Vanuatu, Cook Islands, and Solomon Islands win their first ever medals, in javelin and beach volleyball, lawn bowls, and weightlifting, respectively. And several other Pacific countries have had success as well. 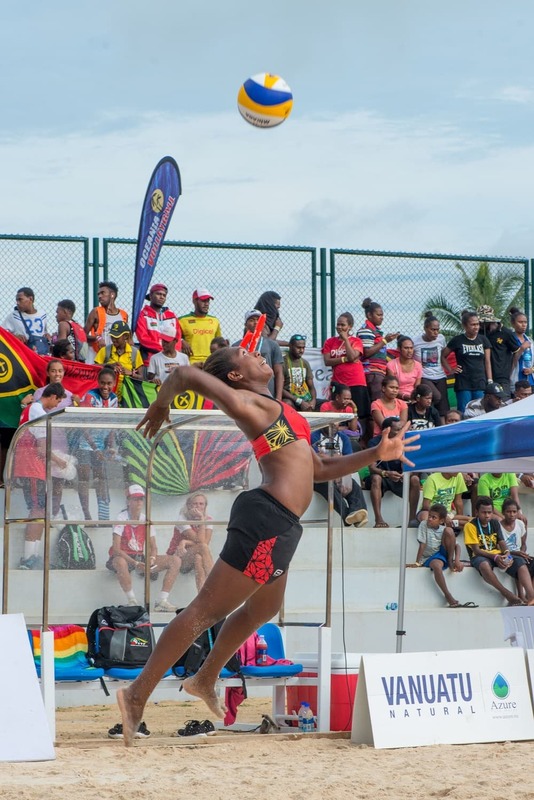 Vanuatu’s bronze in the women’s beach volleyball is a standout example of what the Commonwealth Games means for small countries, such as those in the Pacific. Linline Matuatu and Miller Pata have played together for ten years, achieving great things on the world circuit yet missing out on qualification for the Olympics in 2016. The pair are self-funded and have kept going with the support of their families, their employers, and their country. They have also earnt the epithet “Super Mums” for having three children between them. The youngest, Tommy, is now the most famous baby in the Commonwealth. For many Pacific athletes, regardless of whether they return home as medal winners or not, the Commonwealth Games is the biggest international stage on which they are likely to compete. Even for those of us who are not sports-fixated, there are plenty of reasons to see these experiences and achievements as significant. First, athletes do a good job of bringing a country together to support them. When people travel overseas to represent their country, there is little to no focus on which island or province they come from. As representatives of a country they are able to unite many people in a spirit of national pride that is not always evident otherwise, especially in the heterogeneous countries of Melanesia. As Pacific medals at the Games are few and far between, everyone is celebrated, and the winners – be they gold, silver, or bronze – will undoubtedly become well-known public figures on their return. Not only that, but we often see a version of this at the regional level. When a Pacific island country achieves success, it is celebrated by other countries. Probably the best example is when Fiji won the gold medal for Rugby Sevens at the Rio Olympics in 2016. No one cheered as loudly as Fiji, but there were certainly echoes across the region, including a celebration march in Tonga. This is a reflection of what happens in other spheres, such as negotiations on fisheries management or climate change diplomacy. There may be inter-country fractiousness when playing at home, but when playing away, the Pacific islands can and will unite. It clearly enhances people-to-people links within the Pacific, because … athletes have spent a lot of time hanging out together. More broadly though, the Games can create a sense of awareness about the Pacific. Take the example of weightlifting gold medallist Steven Kari from PNG. Anyone who saw his winning lift, live or on TV, will certainly remember it, remember him, and remember he came from PNG, and perhaps some will ask questions – where does he come from in PNG, what sort of coaching does he get, are there more like him in PNG, how can we get involved in assisting development? Moving beyond the sport itself, participation in major international events such as the Commonwealth Games has the potential to expose Pacific island athletes to social and political activity which they might not be aware of. During this year’s Games, there has been controversy over participation by a transgender athlete, and a focus on inclusion of LGBTI+ athletes, officials, and administrators. Exposure to these issues can be challenging for people from countries that are socially conservative. We’ve also seen the Games used as a platform for political activism by Indigenous Australians, capitalising on the international media spotlight to highlight long-standing grievances. Pacific island delegations and diaspora communities are yet to go down this track, but that’s not to say this won’t change in future. There are issues of great importance in the Pacific (think West Papua, climate change, denuclearisation), and global gatherings of this type are potential platforms to access an audience much larger than might usually be the case. Regardless of the future political significance of the Commonwealth as an organisation, Pacific participation in the Games should be seen as a positive, and celebrated.